Powerful Tradeshow Booth Design and Outstanding Service Provided. Trade Show booths are often the first point of contact before you can meet face-to-face with your prospective customer. That’s why it’s so important that your displays demand attention, convey your message, and make customers want to know more. And that’s exactly what you get when you work with Team One Exhibits: Exhibits that work. 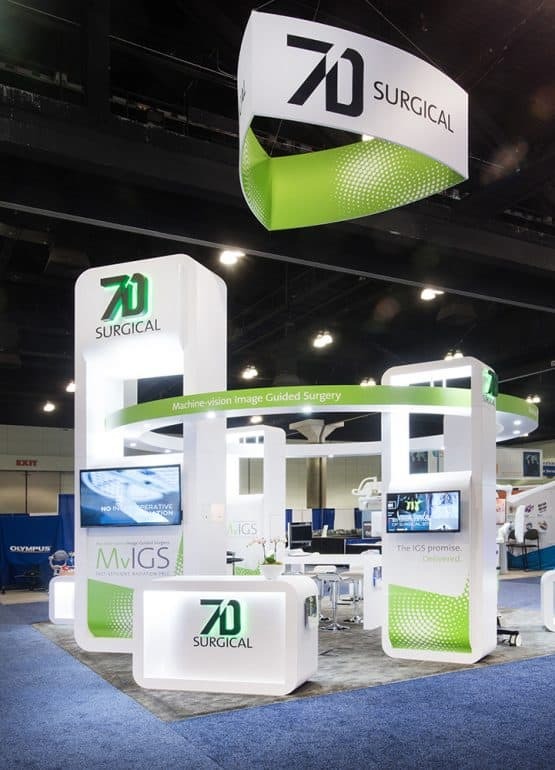 Whether your company sells surgical equipment or supplies energy, we will work with you to deliver a beautiful display that gets the right message across — just the way you envisioned it. 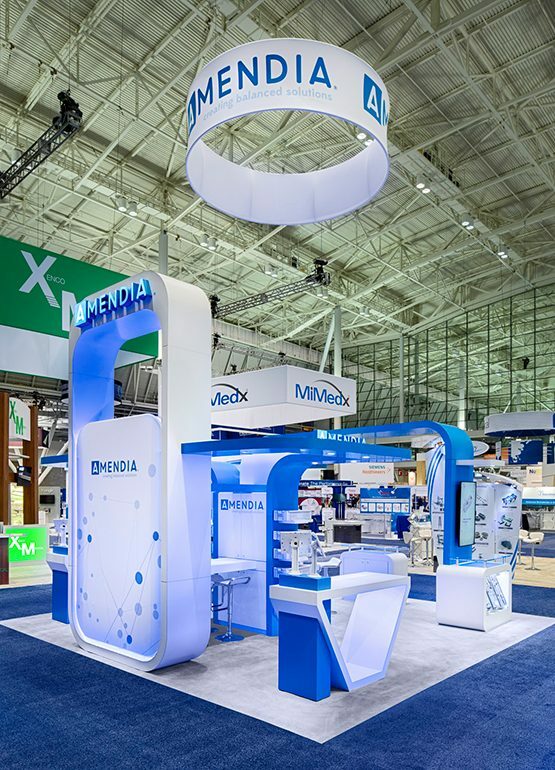 Our team’s approach combines value engineering with personal involvement to ensure that you’re getting the best, most beautifully engineered trade show display possible at the right price. Whenever you need us, we’re only a phone call away. From creating custom displays and signage to exhibit rentals, we’ve got you covered. Our state-of-the-art facility and dedicated team of professionals can handle nearly any request, from huge displays to smaller signs and banners and from set-up to take-down. We keep our process straightforward, flexible, and without all the hoops (we leave those for our office dog to jump through). When you come to us, we’ll talk things out to get a clear picture of what your specific needs are. From there, our team will get to work devising the right display for your business. You will be involved and updated at every step of the way, so you’ll never be left wondering about the status of your display. If you prefer to let us handle everything and let you know when it’s finished, we can do that, too. When you choose to work with Team One Exhibits, we’ll work relentlessly to ensure that what you get is exactly what you wanted. Founded in 2003,Team One Display Exhibits is a full service custom trade show display company working 100% in-house to produce award-winning exhibits, graphics & displays.